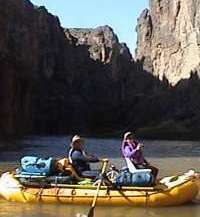 I started whitewater rafting in 1991 with a hunting trip on the Chilikadrotna in Alaska. Then friends introduced us to recreational boating on the Deschutes River in Oregon. Since that time boating has been a wondrous journey for me and my family. In the beginning, I was satisfied with the frames and equipment that were available at the time. However, boats, technology and boating skills advanced beyond the frames on the market and it was time for a new age in frames and equipment to begin. 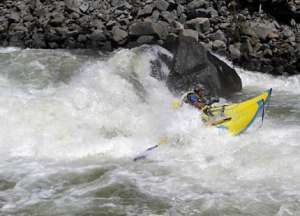 After gathering collective knowledge over the years and using my fabricating and welding experience combined with 15 years of river running I felt ready to meet this challenge. 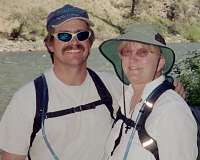 I began building equipment for expedition trips on Idaho’s rivers like the Grand Canyon of the Colorado, Rogue, Middle Fork of the Salmon and for demanding Class IV-V rivers like the Lochsa, South Fork of the Clearwater, South Fork Salmon and North Fork Payette. My equipment is also designed with Washington’s rivers in mind like the Wind, Green, Cascade, South Fork Stillaguamish through Robe Canyon and many more through California and Oregon. 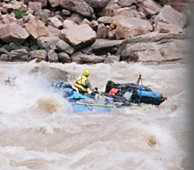 I believe that I have developed the best whitewater frames and equipment on the market today, with custom sizing to fit your needs and requirements – not someone else’s.